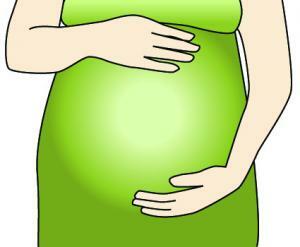 Click to download this pregnancy clip art. 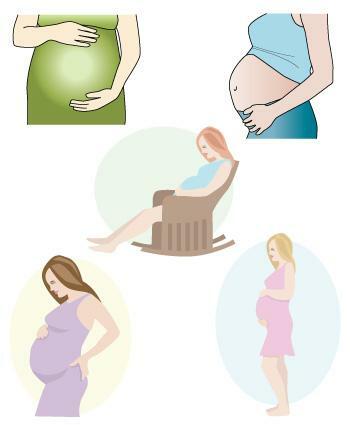 Pregnancy clip art is useful when you're planning a baby shower for a friend, sending out pregnancy announcements, or enhancing a baby book or scrapbook about your pregnancy. Use free clip art to keep costs down so you can devote more money to your new addition. To download the individual clip art graphics, simple click on them below. A new webpage will open and you can right-click to save the image to your computer for future use. If you'd like to download all of the images on one sheet, click on the main image to the upper right and it will download and open using Adobe Reader. From there, you can modify and use the clip art as you see fit. 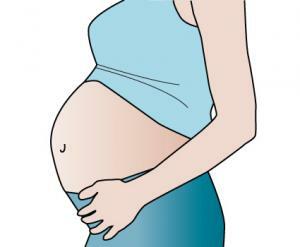 The pregnant belly clip art highlights a growing belly, while the full women figures showcase an expectant mother's love. The pregnant woman in the rocker highlights a woman who is preparing for the baby's nursery and arrival. Lee Hansen offers a small selection of graphics, including four choices of a pregnant belly, several images of chic pregnant women, and images of hearts on a pregnant woman's belly. Web Weaver has free graphics that range from more clinical images of a pregnant woman's growing belly with baby to cute cartoon images that are with child. Freepik features a number of clip art images, including ones that feature artistic silhouettes and flourishes and ones that feature pregnant women doing a variety of activities. When visiting Freepik, make sure you select options in the Free section instead of the paid Premium section. Clip art is interspersed with photographs. If you don't like the colors in an image, convert it to black and white or change the colors by applying various filters in Adobe Photoshop Elements or other image editing software. Be careful when resizing clip art images. While you can generally make a free clip art image slightly larger or smaller, it's best to stick to using the image at its original size whenever possible. Too many size changes can cause unpleasant pixel distortion. If you're printing party invitations, thank you cards, or scrapbook pages, remember to print on a "high" quality setting for the best results. Also, you will need to check your printer to make sure it is set for printing with photo paper, cardstock, or whatever other special media you are using. Celebrate your pregnancy or that of a friend's by using clip art to enhance your stationary, journals, and baby shower decorations. Using free clip art is a fun and easy way to create cute pregnancy-related projects.